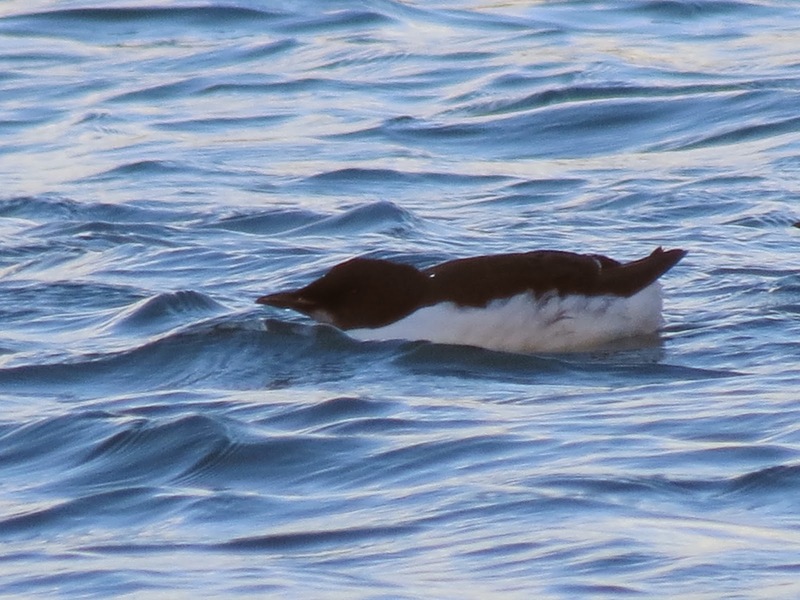 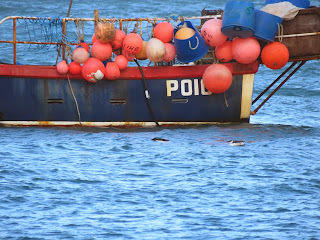 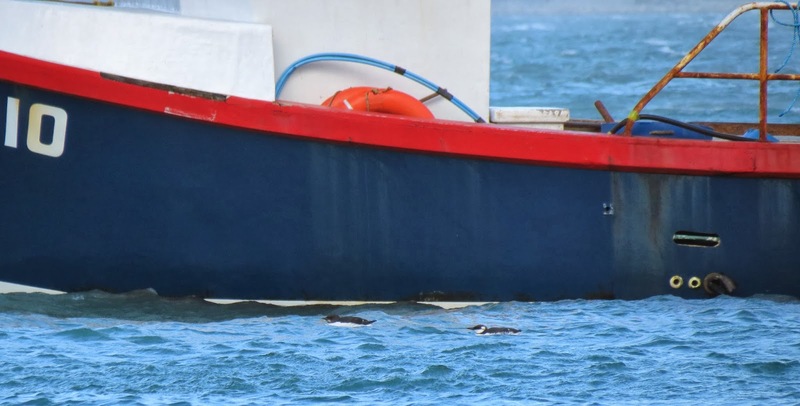 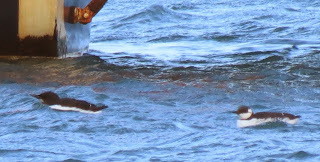 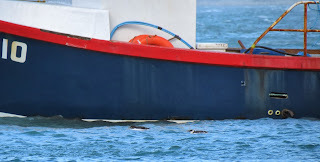 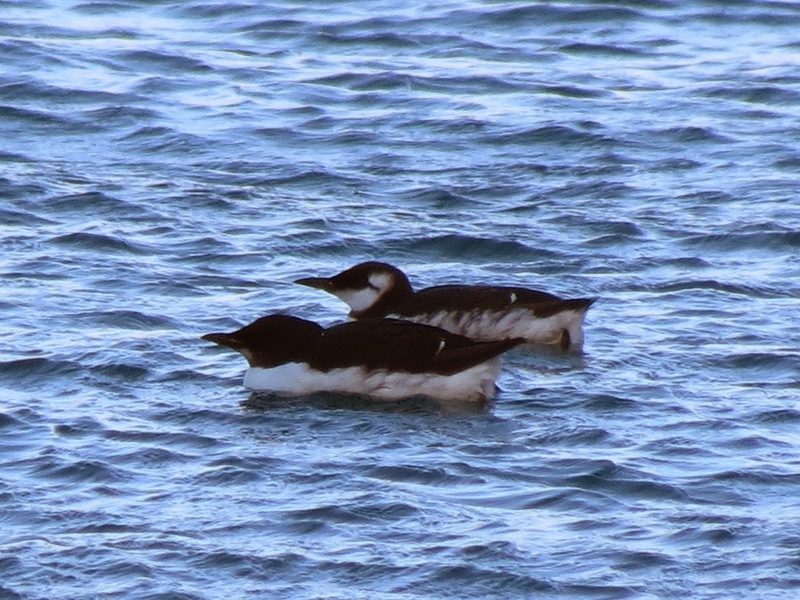 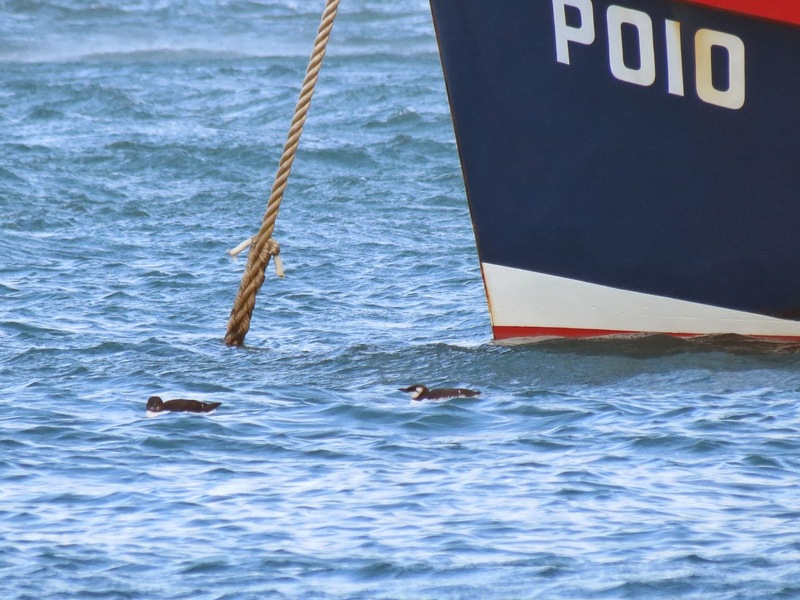 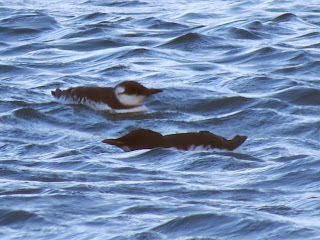 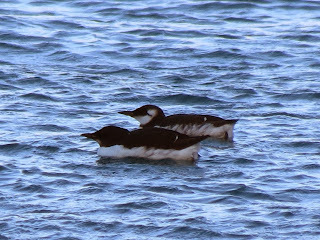 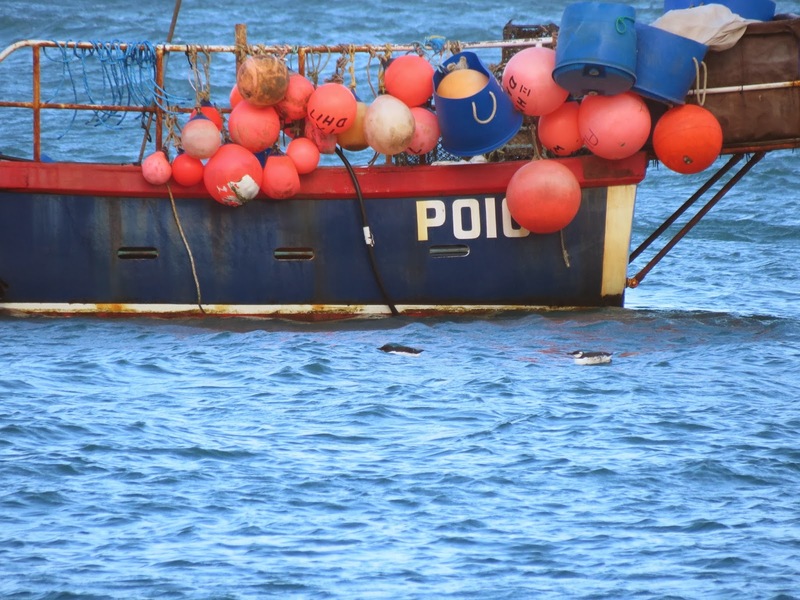 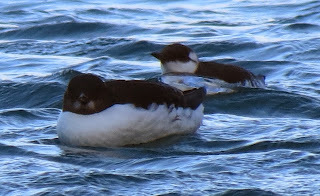 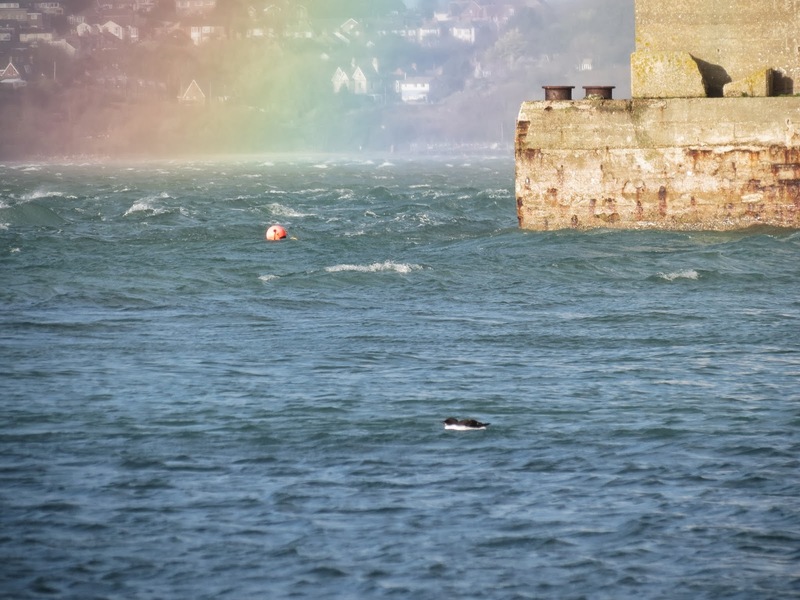 About a week ago, Portland resident Charles Richards stumbled upon an 'odd-looking Guillemot' in Portland Harbour but thought little of it. He saw it a few times but was mainly concentrating on locating the first-winter Black Guillemot that had recently been discovered. 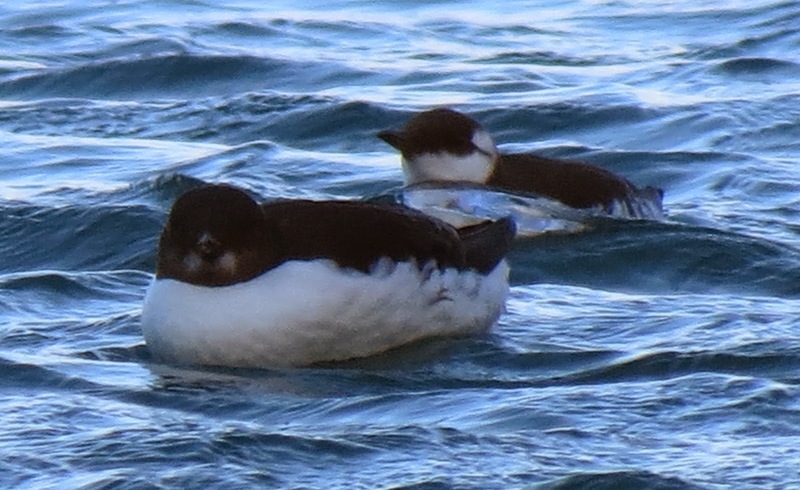 He forget about the auk very quickly but his interest was rekindled when Pete & Debby Saunders from Southwell photographed the same bird on Boxing Day. 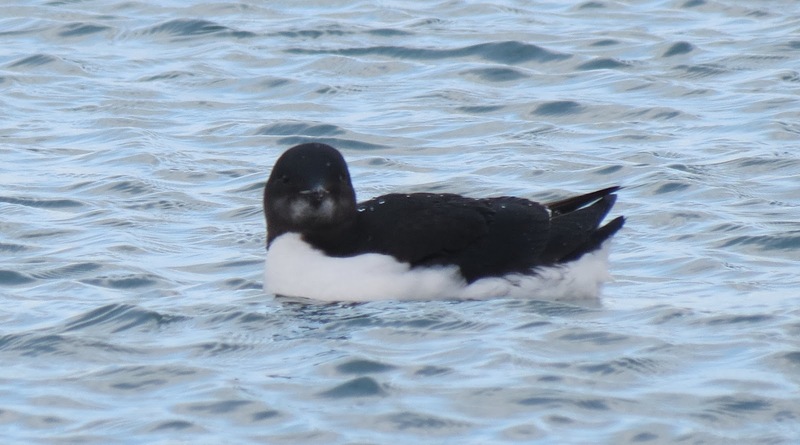 Debby posted her pix on the Portland Bill twitterfeed and on her own time line causing consternation and panic as it was immediately realised that the 'odd alcid' was in fact a first-winter BRUNNICH'S GUILLEMOT - an exceptional record and the first-ever for Dorset. 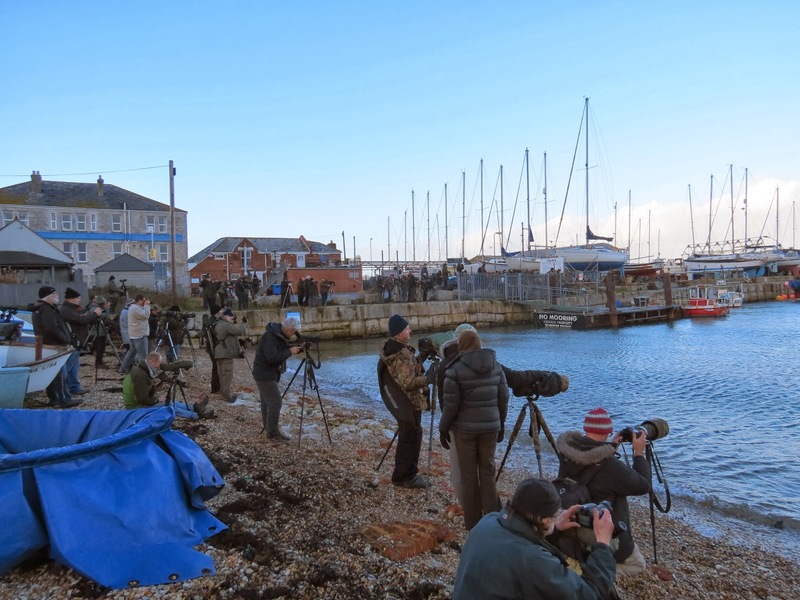 RBA and I broadcast the news to the Nation immediately, setting in motion an unplanned festive twitch. 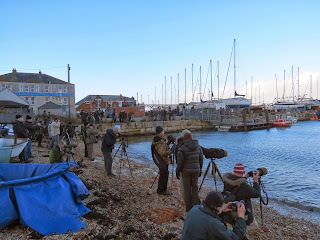 With the bird seemingly in peak condition and diving continuously, around 140 observers came and went before the bird swam into the sheltered harbour enclaves to roost at dusk. 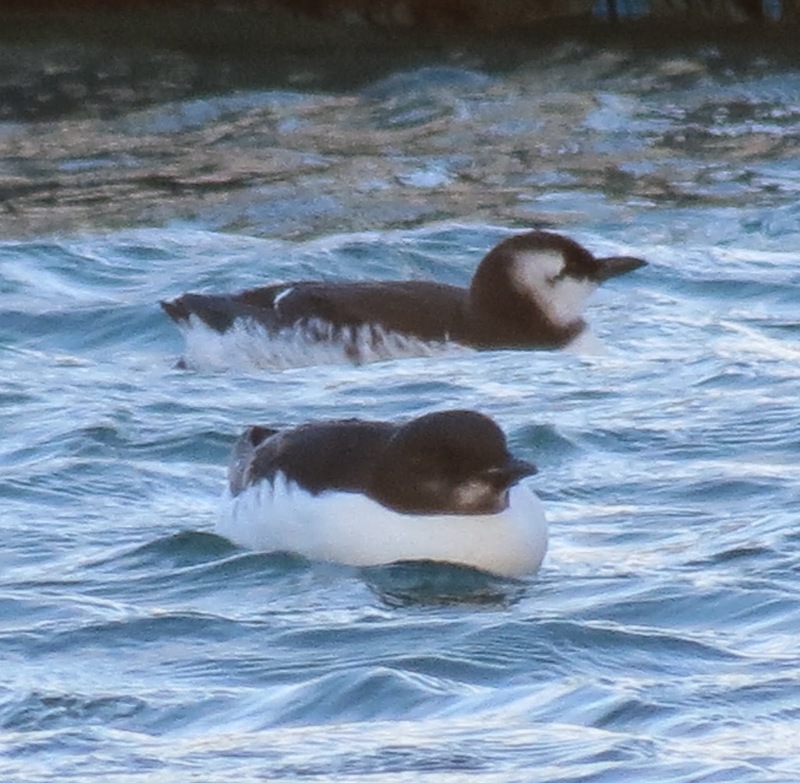 An absolute mega and the first ever twitchable mainland record in Britain. 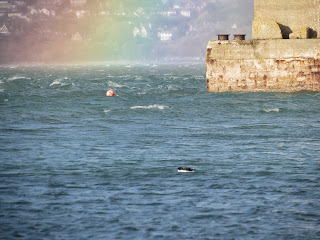 This rainstorm passed quickly through on the gale force winds leaving behind a lovely rainbow. 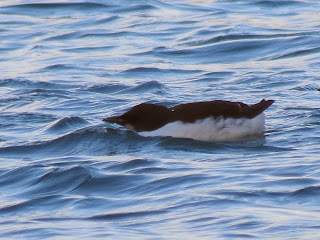 As the afternoon wore on, the alcids eventually got more and more restless and slowly headed for shore..
....culminating in views down to 3 yards !! 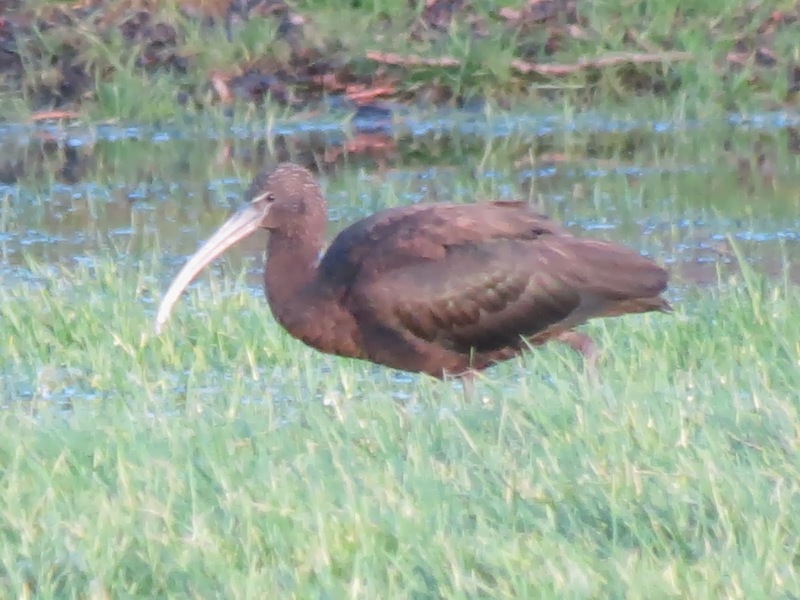 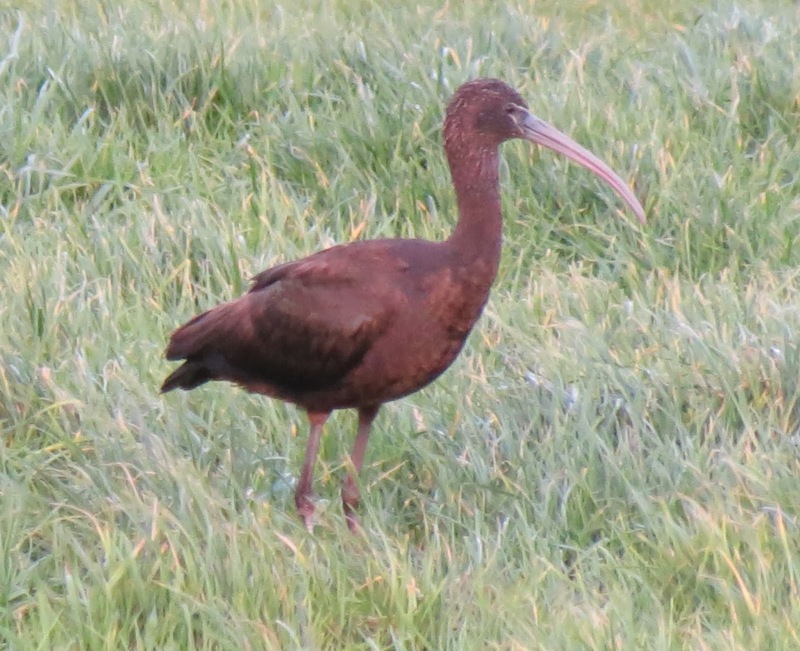 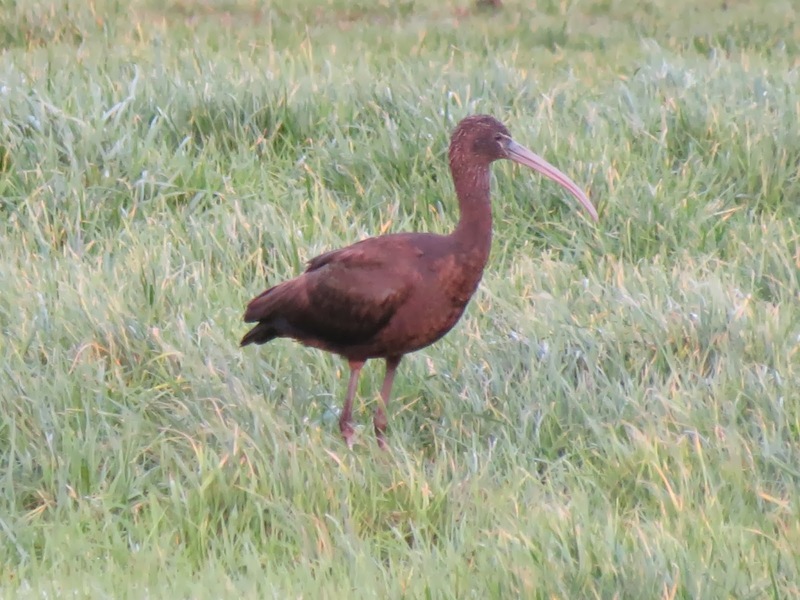 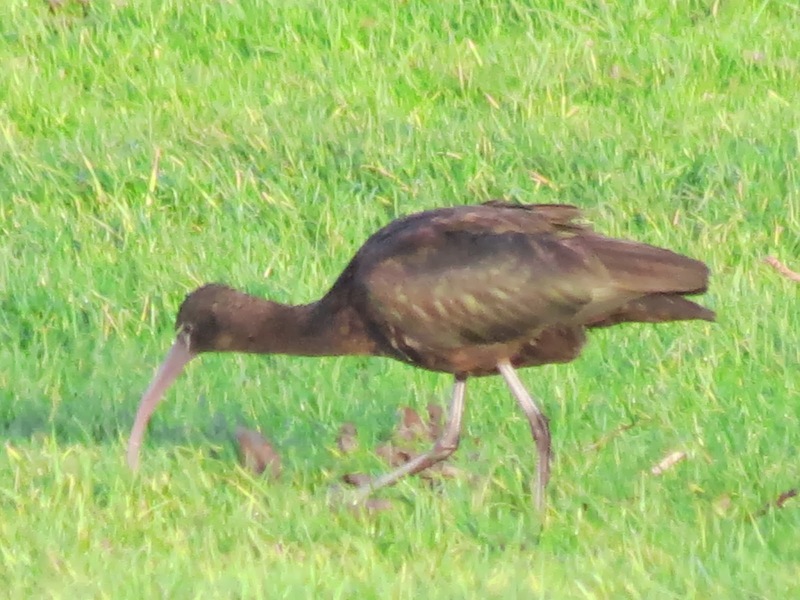 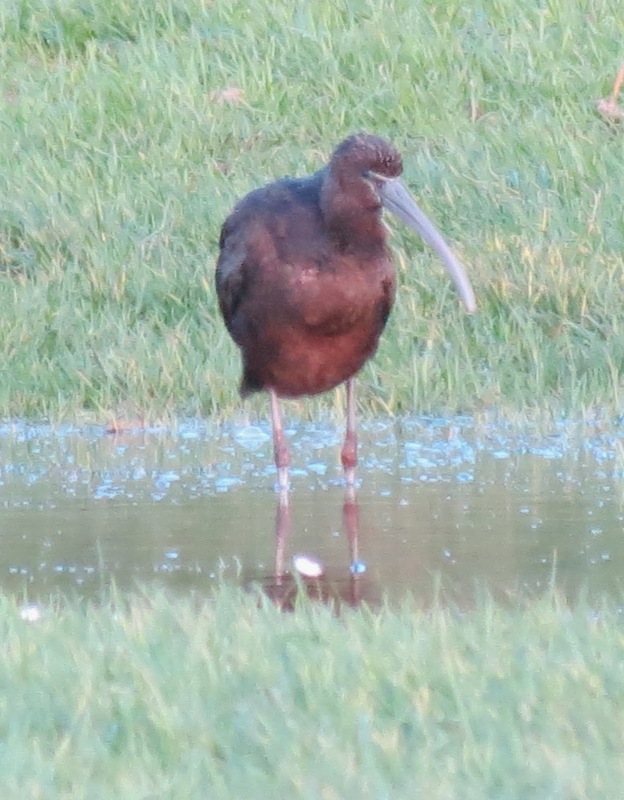 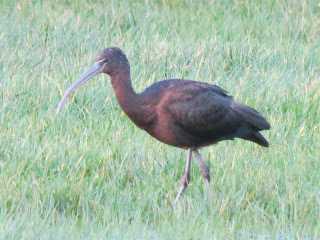 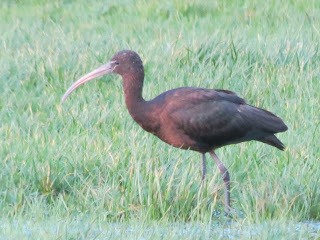 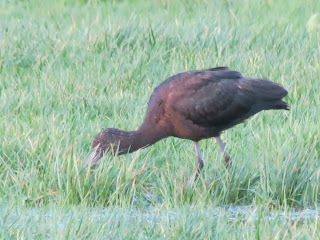 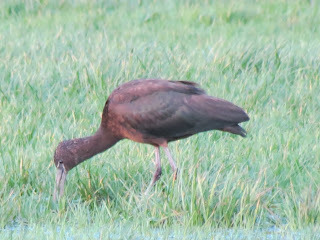 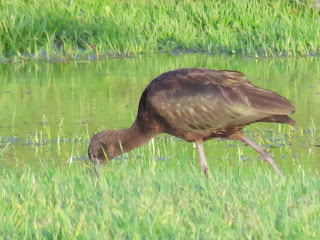 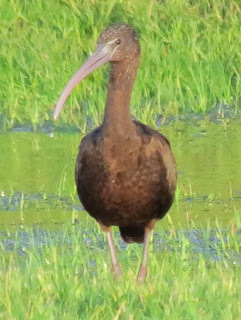 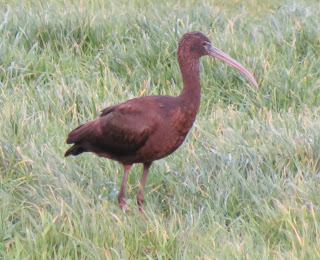 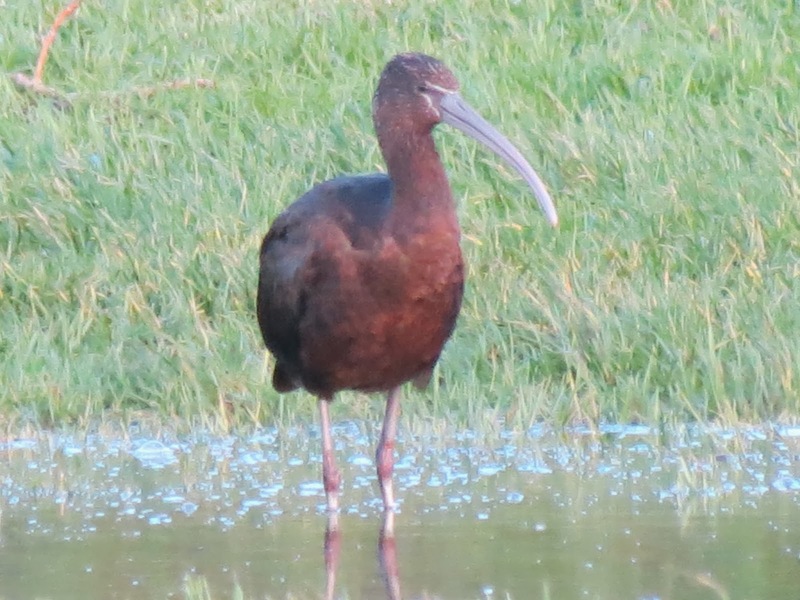 On the other side of Weymouth, this juvenile GLOSSY IBIS was showing well in the recreational field just north of the tennis courts on Radipole Park Drive. 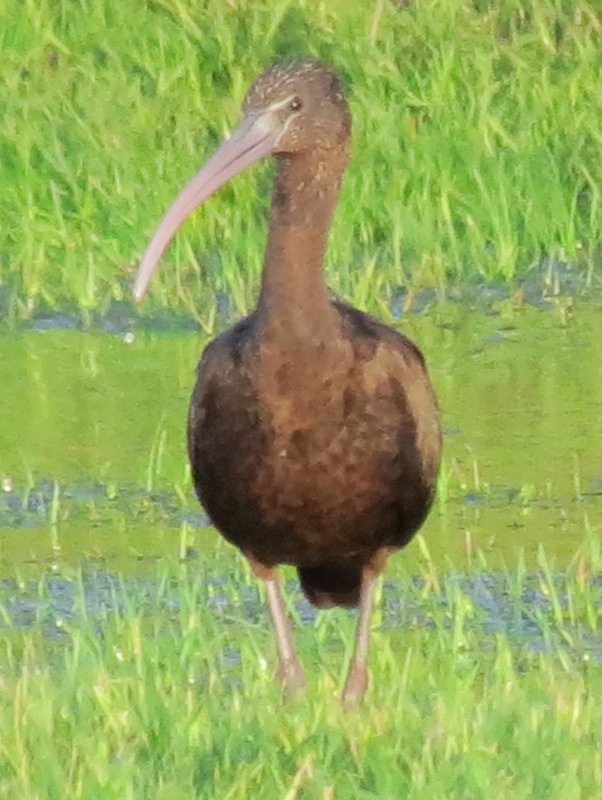 The recent storms had left the field heavily sodden.